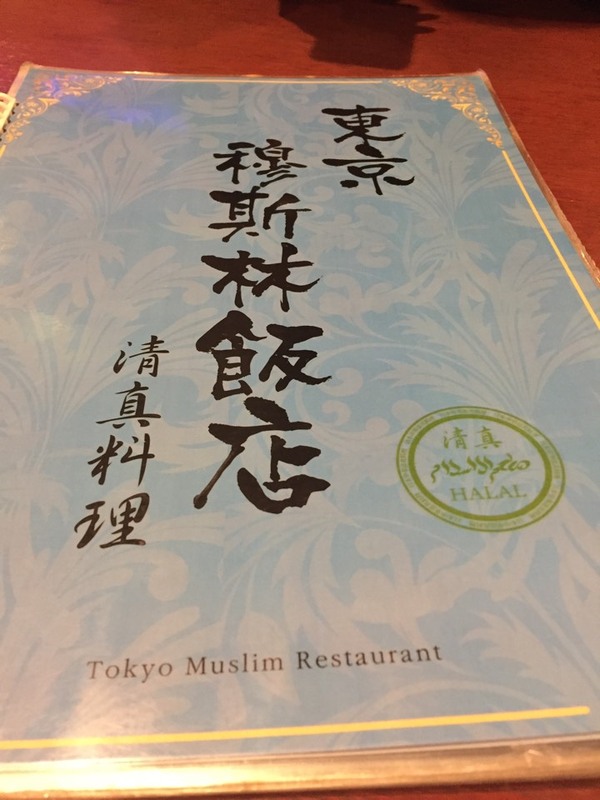 Help others by sharing your experience in Tokyo Chinese Muslim Restaurant here! 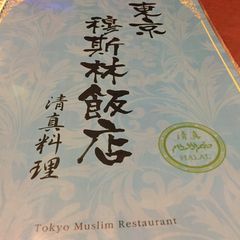 The most frequent restaurant that I visit when I come to Tokyo. Nearby Kinshicho Station. 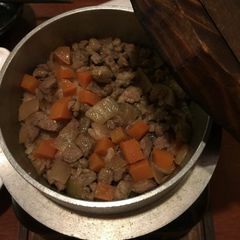 Serve chinese dishes. Fried rice also quite cheap. Serve buffet set at lunch time. 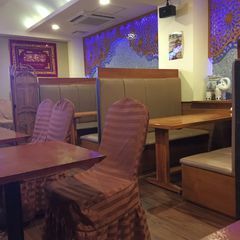 First time visited this restaurant. 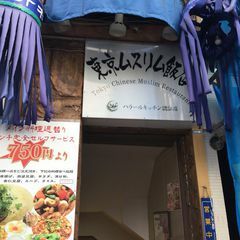 I heard from my Indonesian friends that this place is amazingly delicious. And I 100% agree with them. 1. The place located near the red district in Kinshicho. Especially if you come in late night hours. Be careful. 2. We came without reservation, the lady was kind of unsure to allow us to sit. 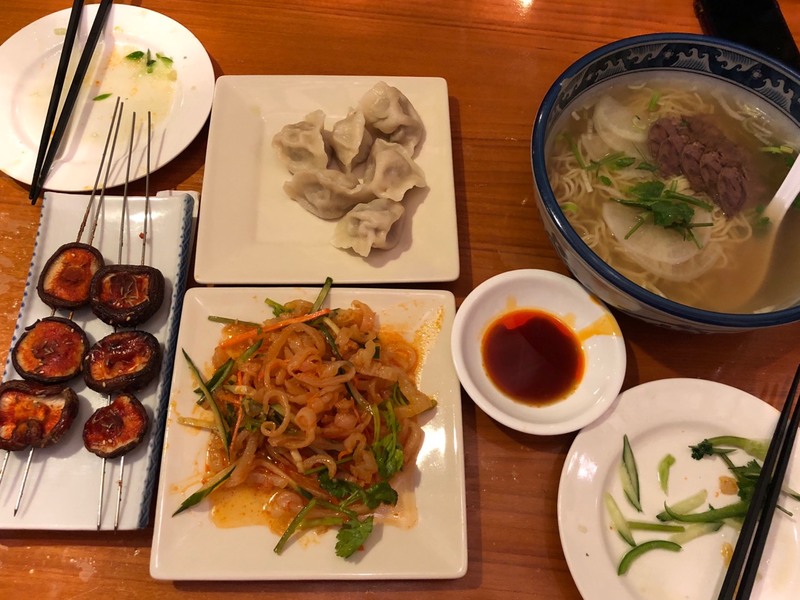 But she said that if we can finish the meal by 7 pm, then it will be ok. (We came at 6.10). Good thing is they serve the food quickly, so we could finish our meal in 45 minutes. 3. So, apparantely, this restaurant is super famous. I advise you to reserve first before your visit. Especially with big group. 4. Good food. 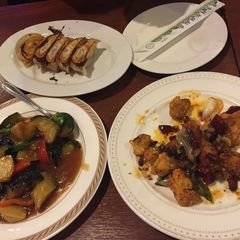 The most amazing chinese food I ever had in my life. Full of spices and balance. Definetely will come again! 5. 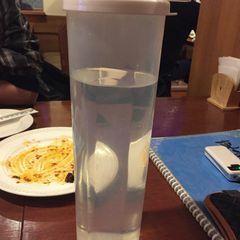 They serve the mineral water without ice. Of course, since chinese people don't put ice into their drink. I’ve been to this restaurant for a few times now just because it’s near to my house. But this time I came on the lunch hour. They served all you can eat during lunch hour on weekdays, it’s cheap and good. The ambience was quite nice. I’m rating this restaurant 4/5. It’s really near to kinshicho station. You guys should try to check this restaurant out. I go here mostly for lunch since it's close to my office. They have an all you can eat buffet for lunch. The price depends upon a main course item that you order. 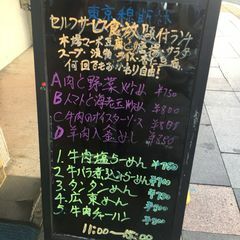 This main course menu is different for different days. 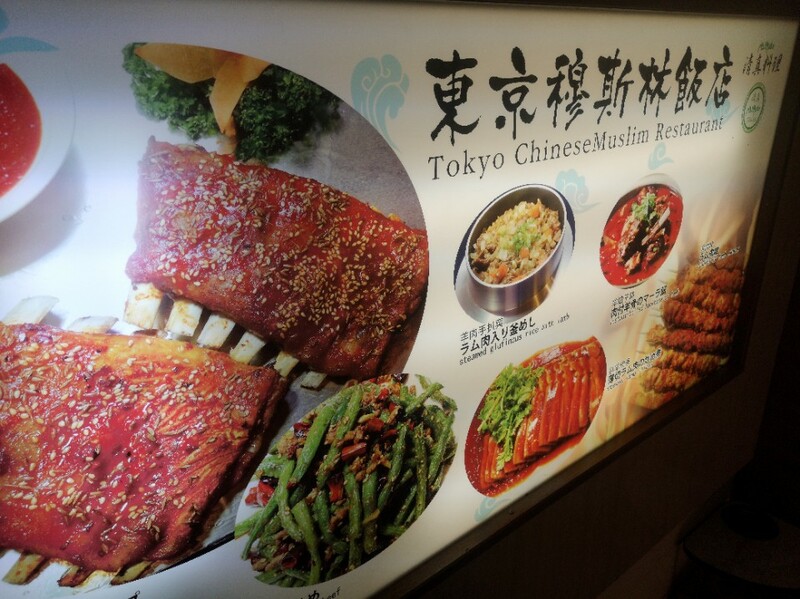 They also have an ala carte which you can choose from. The buffet itself is small. 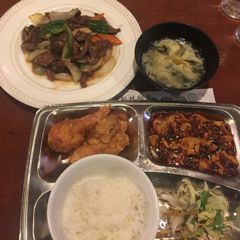 One tofu dish, fried chicken, salad, 2 soups, pickles, rice and 2 desert. They have a small prayer space for just one person. 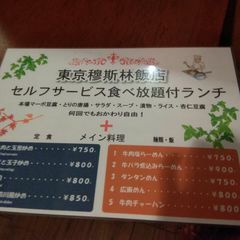 Their ala carte is also worth trying, specially the yakitori.